Our sandblasting company has been operating for more than 80 years. It was founded by Ing. Fritz Spatny, grandfather of the current company owner Michael Müllner. At that time, it was located on Ramperstorffergasse in the 5th district of Vienna! It was always my dream to develop a clear and perfect business, which is very different in administration, production and presentation from other handcraft companies. Its my ambition through engagement of the whole stuff, by continuous deployment an innovation, and by the perfection of our products be always and every time 2 steps (2M) before. Ing. Michael Müllner is the executive Manager of the 2M Walter und Michael Müllner GmbH nfg KG, Assistant Professor at the Academy of Fine Arts Vienna, Institute for Humanities, Sciences and Technologies in Art, Department of woodworking and member of the Vienna board of Jungen Wirtschaft Wien / JCI. Because of his engagement he has been honoured in 2003 from Junior Chamber International with the Senator Title! 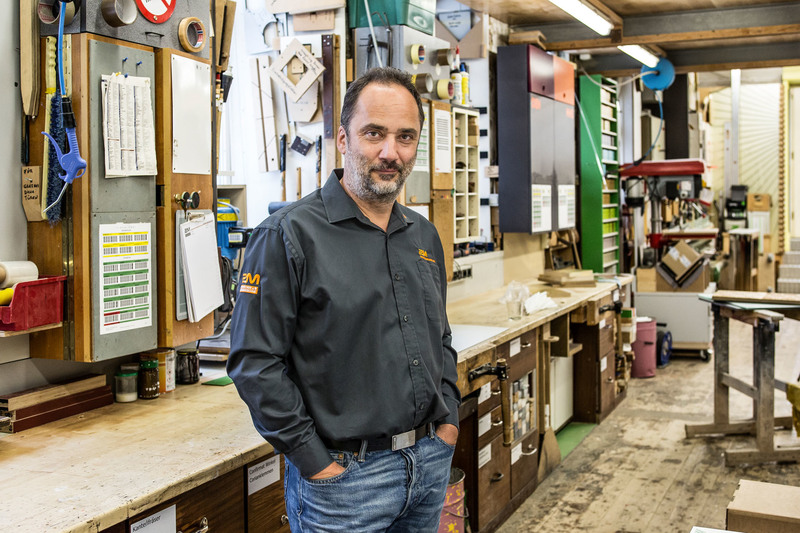 2M stands for 2 business areas: since over 50 year the Walter und Michael Müllner GmbH nfg KG is acting as a cabinet maker, since over 80 years in the sandblasting techniques. 2M works for well-known Austrian concerns and ambitious private customers. Opposite the entrance of the joinery there are 2 reserved parking spots for customers. You will need a parking-pass, which we will gladly provide you for the time of your visit. Please reserve a pass in advance, and you will receive it at our office upon arrival. Attention: As at 4 September 2017 Vienna’s 10th district of Favoriten is a short-term parking zone. It applies on weekdays from Monday to Friday from 9 am to 7 pm. The maximum parking duration is 3 hours. You must fill in a prepaid parking voucher (Parkschein). Pickups take place in our loading zone in front of the entrance of the joinery on Fernkorngasse. Please note that you are entitled to park your truck for the purpose of loading and unloading, however, vehicles kept beyond the free time allowed are monitored and strictly fined by parking officers!